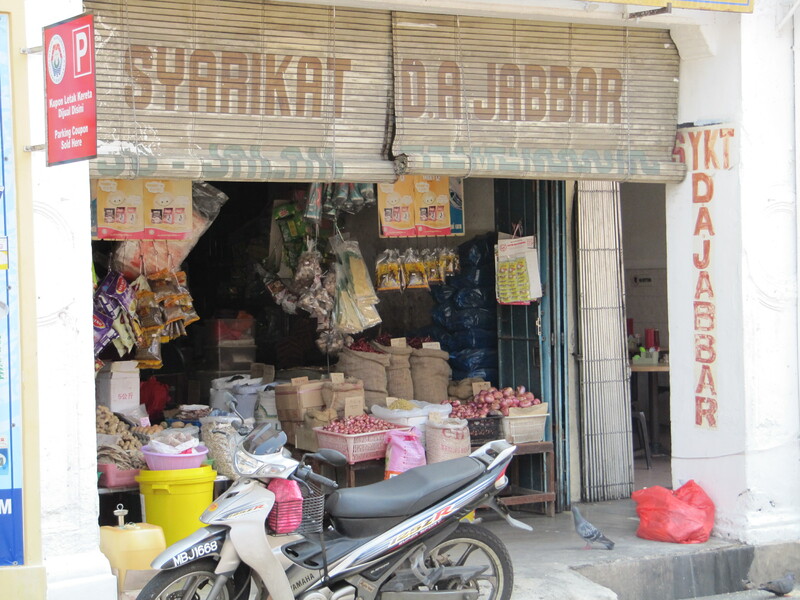 Today we will take a look at Malaysia’s most historically interesting and culturally diverse city. Let’s make it an armchair, or perhaps “desk chair” tour of Melaka – ready to begin? Please follow me. Melaka is, I suppose, a kind of salad of Malay, Chinese, Portuguese, Indian and Dutch Culture. We don’t know the exact date that this city was established but we think the Sumatrans arrived about 600 years ago. Chinese and Indian traders along with Portuguese transformed Melaka went from a sleepy little fishing village to an international port. The Portuguese took Melaka 1511 wasted no time in erecting a “Lisbon of the East” on the Islamic peninsula. Churches, a fortress, homes and government offices sprung up all over Melaka and most of them are still here, such as A Formosa (the fort) which has a small collection of ruins and a canon. A few minutes walk up the hill from A Formosa is St Paul’s, built in 1571, which offers a great view of the port… of course these buildings are not used for their original purpose anymore but they are still of interest. There is a great view of the city from St. Paul’s Church. 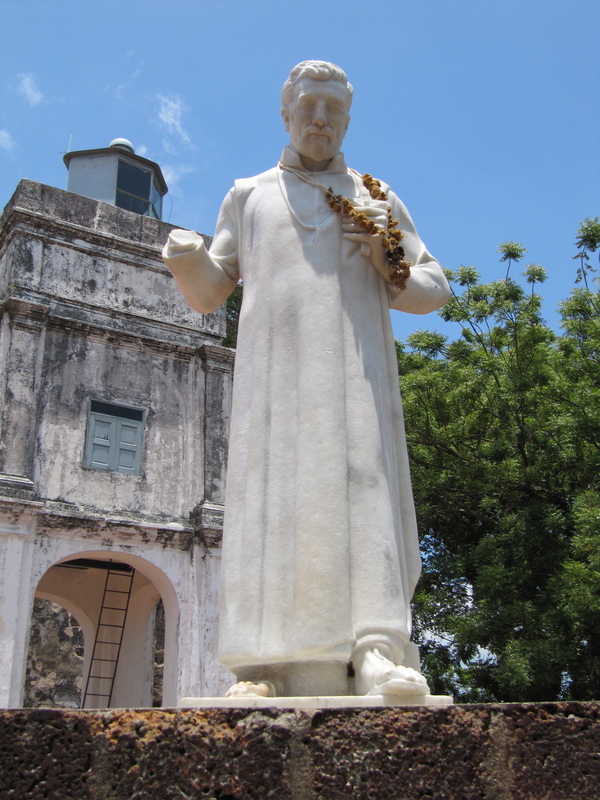 So important was Melaka that St Francis Xavier, who made it his life work to convert the local “Mohammadans” into Christian souls, was buried here. 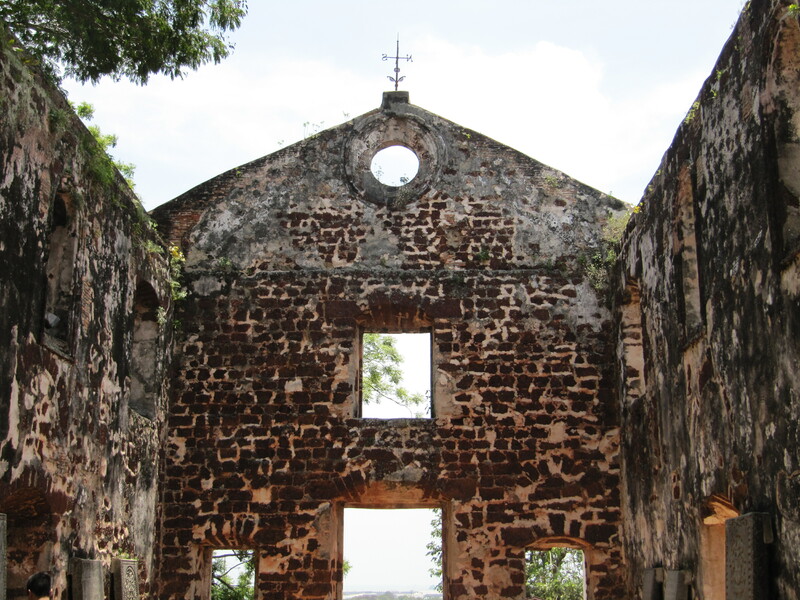 For a while – he was moved after a while to another Portuguese colony – no rest even in death! St. Francis had some limited success in Melaka but went on to hit the jackpot in Macau. Outside St. Paul’s you can pay your respect to a effigy of the late, great saint of Portugal. I wish someone would fix his arm, it looks painful. Let’s make our way down the the other side of the hill now and you will see a beautiful white Dutch colonial building, the Stadhuys, that is now the Historical Museum. 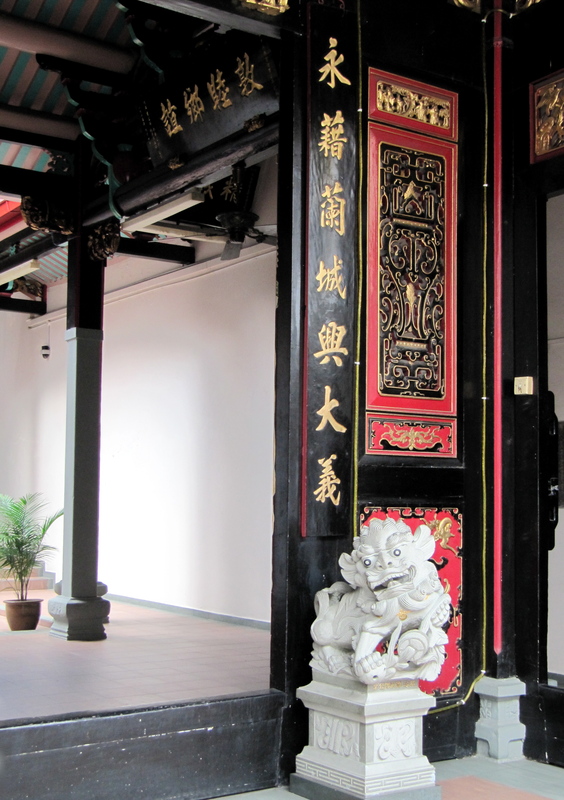 There are a series of small museums in different buildings on their way down the hill including the architecture museum, the education museum, some relics of the colonial powers that have come and gone in Melaka and displays of the culture of different ethnic groups in this region. It’s only a few Ringitt and well worth a look. I enjoyed it and the Chinese furniture that they have on display is just stunning. I prefer these little museums to the Maritime or the Islamic museum, there is something authentic and rustic about them. We will now walk down onto the streets, beyond the 18th century Christ Church until we reach Jonker Road, an eat street and shopping street. We won’t be discussing shopping much today as it’s not quite the sport in which to partake of whilst in Melaka. To be precise: the shops here are dreadful. Yes: dreadful! There are 2 or 3 large shopping malls which are really just crap emporiums filled with tacky, plastic shoes and hideous underwear (halal undergarments?) but if there is something you absolutely must purchase, I suppose the Dataran Pahlawan is better than nothing. There are a few cute places in Chinatown but as I travel to China quite often I don’t really go there in search of wares. Jonker Road has some antique shops if you are in the market for furnishings. For eats: Malay cuisine bores me very quickly – ever stayed in a hut in the middle of nowhere and lived on Nasi Lamak, Anonymous Meat Rendang and warm Halal Pepsi for a week? I guarantee it will break you… so Melaka is quite a find after a trip in the jungle.The Chinatown has a great selection of Hakka cuisine and the ubiquitous chicken and rice. The Orang Belanda Art Cafe is my first recommendation if you want a break from the ubiquitous chicken and rice. You will find them at 32 Heeren Street (also known as Jalan Tun Tan Cheng Lok, but Heeren is easier and everyone knows it) and serves high quality Dutch/French cuisine amidst comfy, clean, spacious modern tables in a renovated shophouse. Beef Bourguignon, Savory Crepes, Berry Waffles and an array of pancake and ice cream treats are amongst the specialties, all done very nicely too. Please note that this basically a breakfast and lunch place. If, however, you are keen to try Melaka’s famous chicken rice ball, please do so. There are various places that serve this dish, none of them I wish to promote. I am not a fan of chicken, but I suppose it’s a box to tick if you wish to do so. The Hakka mee (Chinese noodles) available in Chinatown are always good, always fresh. Can’t complain about that – there is always something edible in a town if you find fresh noodles. 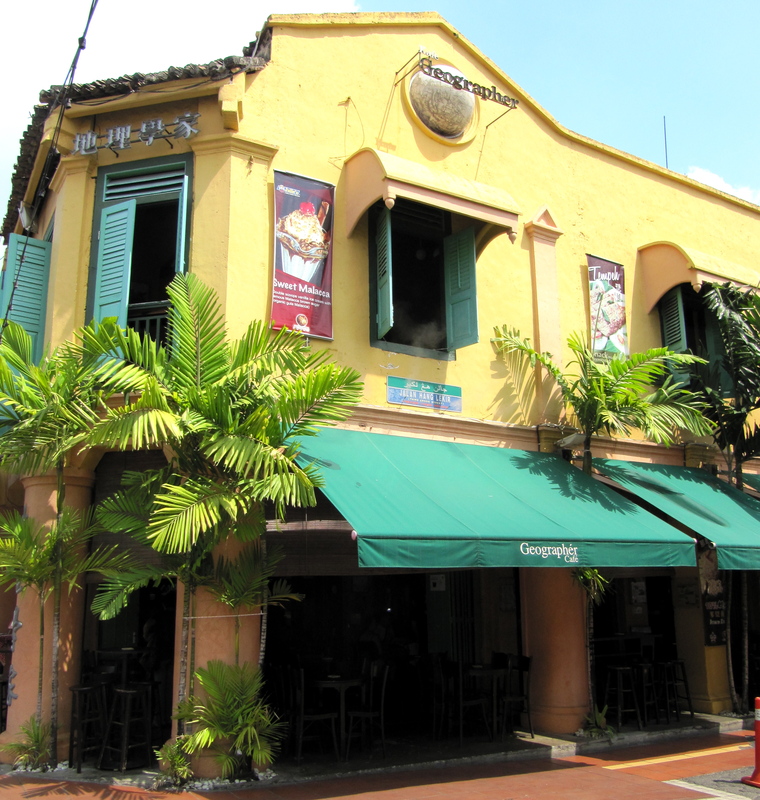 Jonker Street has many nice places to eat, I didn’t get around to trying them all but I intend to give them a go on my next trip. Geographer Cafe on Jalan Hang Lekir serves fresh juice, healthy meals (no MSG, white meat only) and is vegetarian friendly. I like their vegetable ramen, curries and banana cake. So, that leaves Mini Lisbon – I will give you time to explore this fun spot on your own. Mini Lisbon is a few kilometres out of town where portuguese culture is still alive and thriving. I think it’s so unique and special and I hope it stays this way. 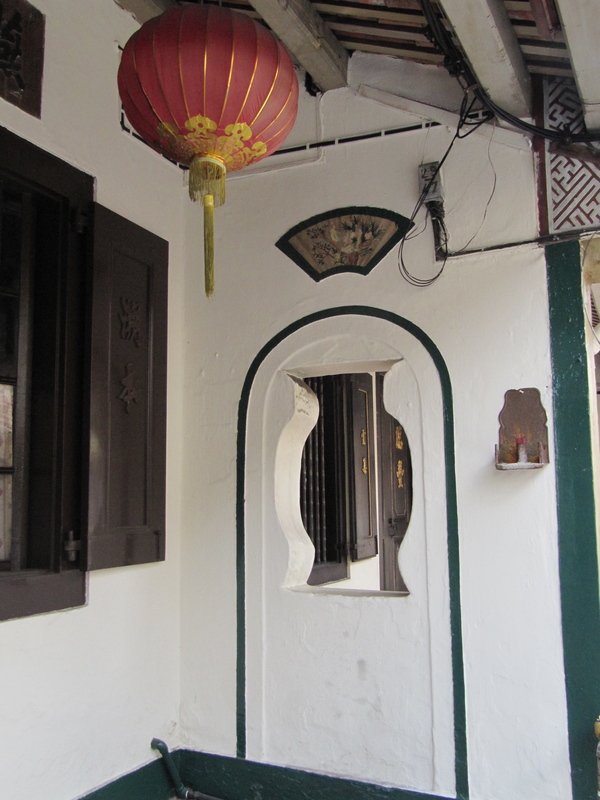 While you are here, have a look around at the buildings, both in Mini Lisbon and around Jonker Street. 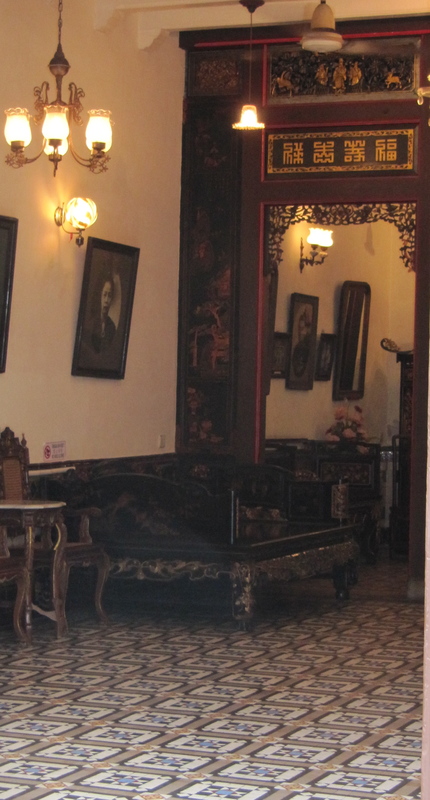 Malaka is just the place to indulge in my favourite pastime – looking into other people’s houses. I am never disappointed and it is amazing what one can find. A stickybeak into someone’s house – tee hee! Is it just me or do the Mosques in Malaysia have a louder Azan than anywhere else in the world? I can’t believe it was only 6 months ago that I discovered one can never travel without swimmer’s earplug, the wax ones. I don’t ever use them when i go swimming but they are invaluable in Melaka. 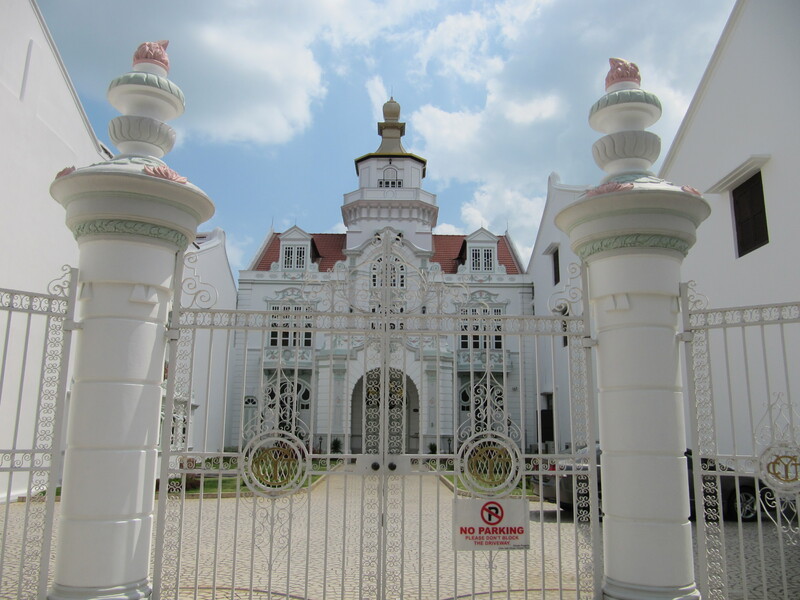 Anyway, after you’ve had a restful, quiet night courtesy of the earplugs, go to the near 300-year old Kampung Kling Mosque, which looks suspiciously like a Hindu Temple. It’s interesting to see as this Sumatran Mosque has none of the regular features of a mosque – the minaret looks more like an asian pagoda. Now that we are the last leg of our tour, perhaps you would like to pick up some traditional Malay headwear such as a Tengkolok or Songkok, the style of some of these hats date back to the Malay Sultanate. These items are much more tasteful than the standard souvenirs I’ve seen about town and they are made locally by craftsmen who are dedicated to preserving their methods. The straw “coolie” hats are cute and nothing keeps those UV rays off your nose and neck like a conical hat.